Olympus are delighted to be part of Huddersfield Mission’s 20:20 Club supporting the work of the evening cafe this week. The Huddersfield Mission Evening Cafe was developed to combat the difficulties and isolation that the winter months can bring to many of our customers. It provides a free, hot meal, drink and pudding in a warm and safe environment. 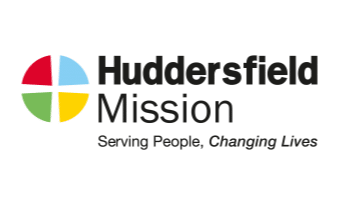 It is a vital service for many of The Huddersfield Mission’s customers who may be homeless, sofa surfing, living with fuel poverty, living in isolation or who may be experiencing other issues that make the winter particularly difficult to cope with. The Evening Cafe 20-20 Club is made up of 20 companies who have each sponsored 1 week of the Evening Cafe for £500. This helps us to ensure that this service can continue to be here for all who need it. The response we’ve had to our 20-20 Club has been phenomenal – even more so given that this is the first year.